Want to make your vision for your invitations a reality? The Papery can help! 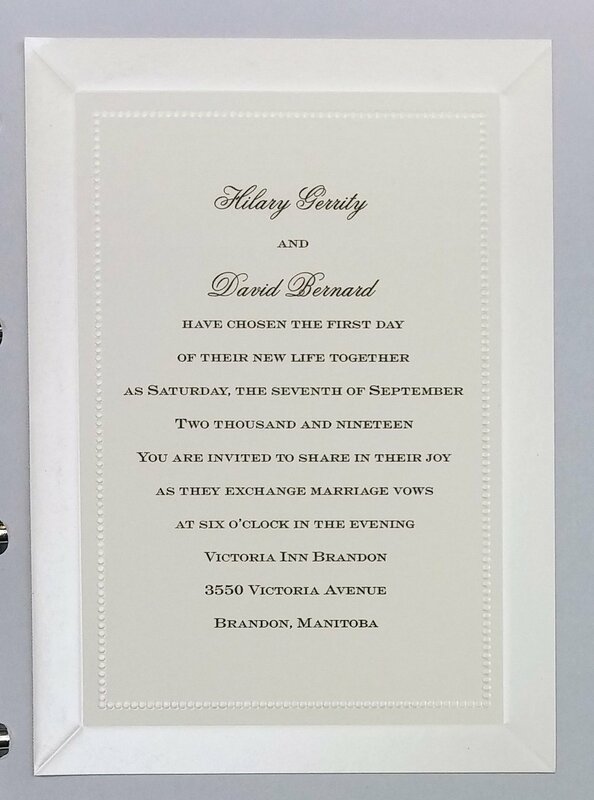 The Papery carries the Carlson Craft wedding album, and we can guide you through your selection process for thermographic (raised ink) printing. The album showcases seal-and-send and sep-and-sends designs. A variety of ink colours and typestyles are available, and you may also wish to consider adding coloured liners to your envelopes. Coordinated additions such as map cards and thank you cards are also available. Pricing includes manufacturing and printing. Orders are printed in Canada, take from fifteen business days from final electronic proof, and proofs are highly recommended. Stop in anytime to browse the books. 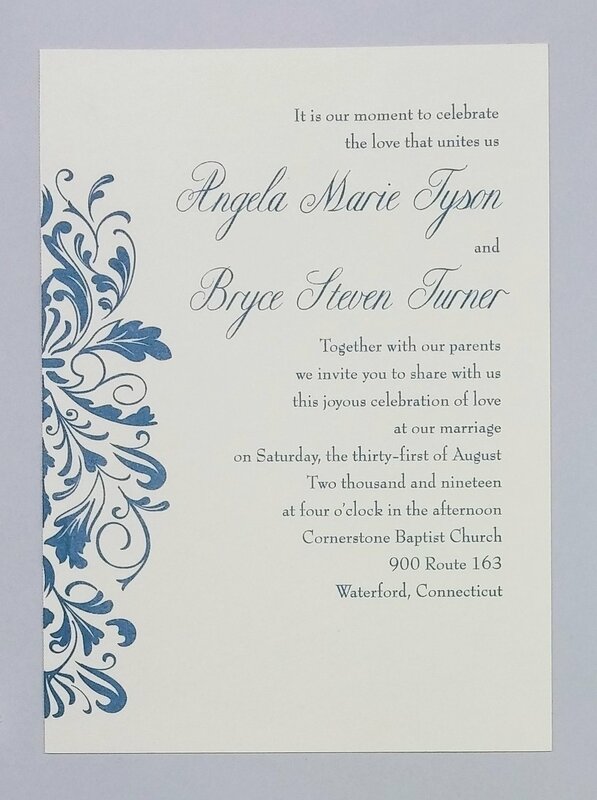 Give yourself time to absorb the range of styles and options and to craft the wording of your invitation. Once you are ready to order, please make an appointment for your consultation by calling 613-230-1313. The photos above give you an idea what you'll find in the Carlson Craft invitation order book. Write your own copy, choose your fonts and an ink colour, perhaps add an envelope liner...whatever fits best with your theme and your budget. The photos above are examples only, and currently available styles may differ. Imagine the possibilities! With the right papers and some creative flair you can create your own unique wedding stationery. Shown above, Save-the-Date card, Tri-fold Invitation, Menu card, photo-ready Thank You card with lined envelope, Seating Chart, Placecards, Table Number card, Invitation with Response Card. The Papery stocks an extensive array of single sheets of text and cover stock papers. Now, consider what happens if you add a bit of folding, cutting, trimming, layers, ribbon, printing, and imagination? If you are creative and crafty, The Papery can provide the paper and envelopes for you to create your own vision. We carry cover stock which you can cut to size, or pre-made cards. Be inspired by our wrapping papers and ribbons for unique embellishments. Imaginative embellishments will make your invitations distinctive.